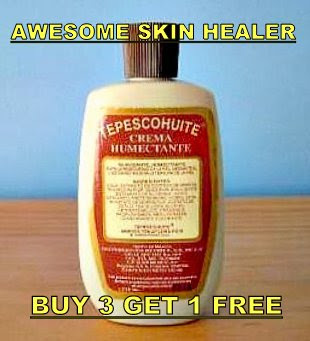 TEPEZCOHUITE SKIN CARE STORE: * TEPEZCOHUITE MOISTURIZER Day Cream for Wrinkles Scars Dry Skin Minor Burns. FIRST TIME IN THE MARKET ALL THE POWER OF THE TEPEZCOHUITE AT DAY TIME. IS CREAMY,FEELS VERY NICE HAVE A FRESH AROMA,NO GREASY. You can use it Day or Night time. Use under the make up. Will Care an Heal Minor Burns. Creamy a no Grease Feeling.